Who Were the “Olympic Athletes from Russia”? They walked the opening ceremony of the 2018 Winter Olympics in Pyeongchang waving a flag bearing the Olympic rings; they competed under the title of “Olympic Athletes from Russia”; they were prohibited from wearing their country’s colors, and their medals were never attributed to their home country. These are all consequences of the International Olympic Committee’s ban on Russian athletes. Let’s break down how they got here. In December, the World Anti-Doping Agency released a major report on a pervasive Russian doping scandal. Essentially, they cheated the system in the Sochi and Rio Olympics; evidence points to the idea that they potentially cheated in other Olympics as well. However, this wasn’t just a case of malpractice by the athletes — it was a state-sponsored program. This means that Russian coaches, backed and supported by their government, manipulated the system and cheated to put their athletes on top. Not only did they use performance-enhancing drugs for the athletes competing in the regular Olympics, but they also drugged those competing in the Paralympics. It’s impossible to know just how far-reaching the implications of the scandal are. The report came as a shock because the anti-doping system had been thought to unbeatable: all the athletes have to submit urine samples that are sealed in special containers that can’t be reopened and then sealed again. However, the Russian government developed a special machine that opens and reseals the containers without triggering the safeguards. Samples that were collected during the 2014 Winter Olympics in Sochi were tested in a high-security room of a lab that had been certified by the International Olympic Committee (IOC). 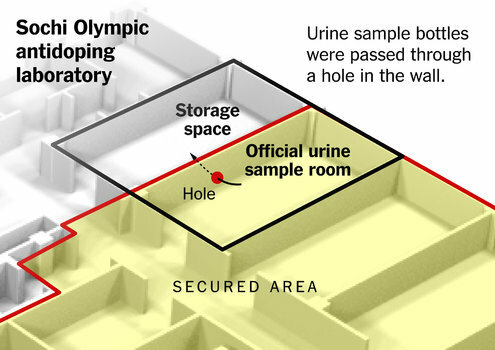 However, Russian lab workers cut a hole in the wall in the storage room, swapped contaminated samples with clean ones the athletes had prepared earlier, and returned them to the holding location. Russia successfully performed this procedure during the Sochi and Rio games, but no one really knows how long they have been doing this and how deep the scandal runs. As a result of the report, the IOC banned Russian athletes from competing in the Olympics in Pyeongchang. However, many Russian athletes appealed the decision, arguing that they shouldn’t be punished for their country’s earlier infractions. The IOC reached a compromise, vetting athletes and allowing only those who had no prior history of doping to compete. However, the approved athletes were not allowed to represent their country formally; instead, they had to compete as “Olympic Athletes from Russia.” They couldn't display the flag, and their medals will not be attributed to Russia. However, Russian fans still flooded stadiums with flags and chants. Russian athletes, too, wore red and white in most competitions. Although many were irritated that the IOC scaled down the severity of its initial stance, it doesn’t compare to current sentiment. During the Pyeongchang Olympics, one of the competing “Olympic Athletes from Russia” was formally charged with doping after failing a drug test. The athlete was part of a medal-winning pair in the curling competition. This does not look good for the IOC, who may face additional backlash as a result. Russia, who denied the results of the investigation, too, will likely be less credible moving forward. 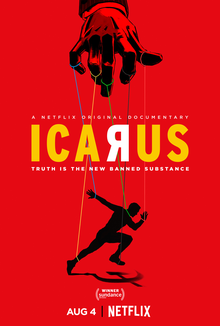 For more information on the scandal, check out the Netflix documentary Icarus, which goes through the process of the doping and the consequences for the man who alerted the world to the actions of the Russians.